Today I switching things up a bit and sharing a new-to-me skincare product with you. 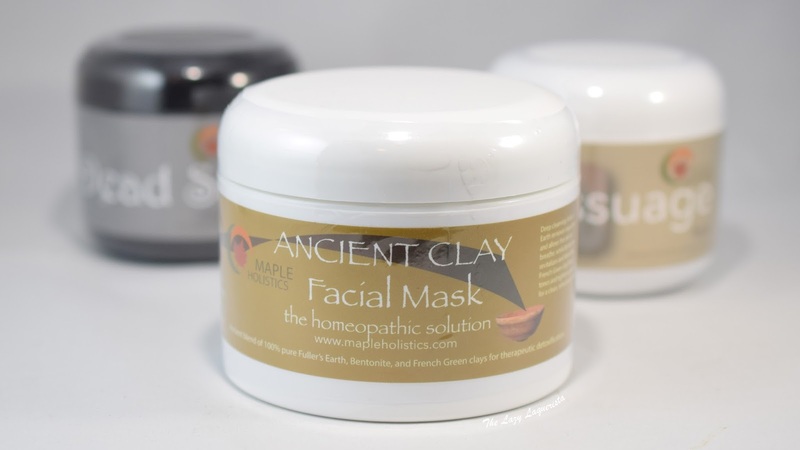 I love clay based face masks so when Maple Holistics approached me about reviewing a few items from their skin care line I couldn't resist picking a couple of theirs to try out. 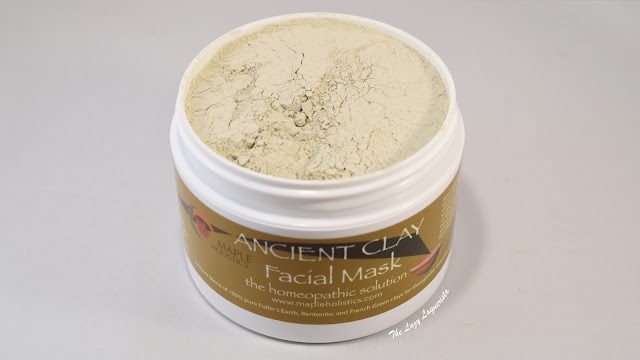 Let's take a look at the first one I tried, the Ancient Clay Facial Mask. The Ancient Clay Facial Mask combines French Green Clay, Bentonite Clay, and Fuller’s Earth and is supposed to help purify and clarify your skin. The first thing that surprised me when I opened up the jar was that this came as a powder, and not a hydrated paste like I'm used to for clay masks. This explained why there was a mysterious little plastic scoop packaged with it. Mixing up the mask is fairly simple. You just add one part mask powder to two parts water. I tried mixing it up in my hands the first time... which was a bit of a failure. Definitely mix it up in a bowl or container of some sort so you can easily get it to an even consistency. I applied the mask mixture to my face with my fingers and left it on for about ten minutes while soaking in the tub. It rinsed of easily and left my skin feeling soft an smooth. I find that some clay masks can be a bit drying but I didn't notice any tightness in my skin after using this one. As of three days later I also haven't had any negative effects like breakouts. Overall I got a good first impression from using this mask and will definitely continue using it to help keep my skin free of pimples. Now for the bonus! Maple Holistics have donated a set of their Argan Shampoo and Silk 18 Natural Conditioner to giveaway to one of you. Just enter using the form below. Must be 18 years or older to enter. Open internationally.